We all know that the needs in our community are increasing and the funds to meet these needs are getting harder to come by. Have you tried new and fun events in your workplace campaign to raise these needed funds? Below are some ideas you could incorporate to make your workplace campaign more fun and encouraging to your co-workers to become part of the United Way of St. Clair County giving family. Here are some fun ways our supporters have added zing to their campaigns. Collect change daily from your co-workers. Employees can empty the change from their pockets before leaving the workplace into a canister for a pre-determined period of time. Find out how much loose change can add up in a week. Change Bandit: A co-worker dresses as a bandit (as approved by company security.) Have them visit employees to procure spare change. Spare Change Jar: Place empty jars near vending machines or gathering places. 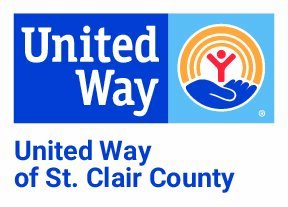 Ask employees to deposit spare change throughout the year for United Way of St. Clair County. This can be a competition between departments to see who collects the most change in a time frame. Purchase Bingo cards and distribute to employees. Every day, email a Bingo number to all participants. The first one to reply with “BINGO” wins. The Bingo game continues until all prizes are distributed. Recruit co-workers to donate handmade items, such as woodworking, jewelry, knitted or crocheted items, and quilts and have a silent auction for these beautifully crafted treasures. You could also raffle these handmade items, have a 50/50 raffle on paydays, raffle a turkey with the trimmings for Thanksgiving or Christmas, raffle the best parking spot in your parking lot, or see if your company has sporting event tickets they would be willing to donate for a raffle. The possibilities are endless, just use your imagination and see what fun ideas you can come up with! Ask your company to consider allowing employees to wear jeans or sneakers on a specific day - for a specific dollar amount - to raise funds for United Way. Already wearing jeans and/or sneakers in your workplace? How about a hat, crazy jewelry, sunglasses, etc... day. Be creative! If your company has interaction with the public, ask your co-workers to make cut-outs to sell; Pumpkins for Halloween, Turkeys for Thanksgiving, or Snowmen for Christmas. You could also make cut-outs related to your workplace; cars for an auto company (post them in the break room), blow dryers for a hair salon, steaks for a butcher shop, etc. See what you can come up with for your workplace. Ask all of your co-workers to bring in their favorite recipe, then create a cookbook to sell to employees or customers. You could also have a potluck on Fridays for lunch, and charge one price for people who brought a dish, and another price for folks who just want to enjoy the home-cooked meal. For smaller offices, you can recruit your employees to play poker $1.00 per card. Draw a new card every day for a week and the best hand wins half the money raised. All of your co-workers can dress a potato (like Mr. Potato Head) then the employees can vote for the potato by using money. Whoever gets the most money wins and receives a prize. Put pennies in a jar, then sell guesses on how many are in the jar. You could use jelly beans, hairpins, bolts, or anything related to your work-place, etc. Ask co-workers to bake cookies, cupcakes, etc. and have a bake sale. Everyone loves a sweet treat!